Hi! 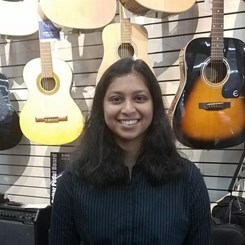 I'm Meghna, and a part-timer here at Music & Arts in South Forsyth. I've played the piano and the cello for about 9-10 years, and I would love to help you out with any question you may have about strings or keyboards!